Kathryn Stockett will be at Findlay University’s Koehler Center for a public presentation on March 25, the cost to attend is $5. In honor of her visit, The Knight Writer decided to review her acclaimed book The Help. 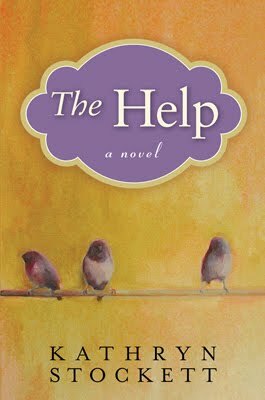 The Help is the story of three southern women—Skeeter, Aibileen, and Minny—in the early 60s who make a choice that will forever alter their lives. Aibileen and Minny are African American women who’ve spent their lives cooking, cleaning, and caring for children just to make a basic living, as they are maids for the rich, white families of Mississippi. Skeeter is a curious college graduate who wants to share the experiences of Aibileen, Minny, and other maids with the world, by publishing a book based on those experiences. In the civil rights era, the decision is one that causes great controversy and happily makes for an amazing story. I loved The Help. The book captures every element you’d want in a book. Minny plays the humorous aspect with her undying sass and Aibileen is her sweet, easily sympathized opposite. As well, Skeeter is very lovable and interesting. She is a passionate, strong woman whose love story is one of the most unique ones I’ve ever encountered in a book, in addition to one of the most endearing. Stockett takes no liberties when it comes to creating diverse, fascinating characters that will really catch a reader’s attention. The book also has both action and drama. There are times when I laughed out loud and times when I thought I would start to cry for the characters. The struggles, along with the often funny ways they’re dealt with, are top notch too. My only critique of the book is the ending. It’s not one I was happy about, and although it was probably more true to life and less Hollywood, I wasn’t satisfied. Other than that, this book is a perfect 10. The book was so good, in fact, it was adapted to film in 2011. The film is a beautiful rendition of the story and stars Emma Stone, Viola Davis, Jessica Chastain, and other big stars. If you have a chance, it is well worth the watch. I, along with other Knight Writer members, will be in attendance at the CommunityREAD public presentation. Read the book, watch the movie, and join us there!